Ohio anglers get ready - The Division of Wildlife will be releasing 96,000 rainbow trout into 61 lakes and ponds this spring. The releasing of the rainbow trout, which are 10 to 13 inches long, will occur between March 8 and mid-May. Anglers are reminded the daily catch limit for inland lakes is five trout. Anglers should also know there will no longer be fall catchable trout releases. Beginning in 2012, all catchable trout releases have been shifted to the spring season. Some locations will feature special, youth-only angler events on the day of the scheduled releases. Anglers age 16 and older must have an Ohio fishing license to fish the state's public waters. Once the youth-only events have concluded, all other anglers may fish. Contact the nearest district office for specific information. The 2012-13 fishing license will be available March 1, and will be valid from that date through to Feb. 28, 2013. An annual resident fishing license costs $19. A one-day fishing license is available and may be purchased for $11 by residents and non-residents. The one-day license may also be redeemed for credit toward purchase of an annual fishing license. Ohio residents born on or before Dec. 31, 1937, may obtain a free fishing license where licenses are sold. Persons age 66 and older who were born on or after Jan. 1, 1938, and have resided in Ohio for the past six months are eligible to purchase the reduced cost resident senior license for $10. Additional information about spring trout releases is available by calling toll free at 800-WILDLIFE. 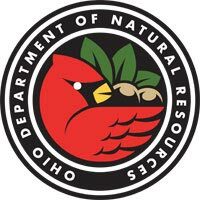 Information is also available from Division of Wildlife district offices in Akron, Athens, Columbus, Findlay and Xenia.